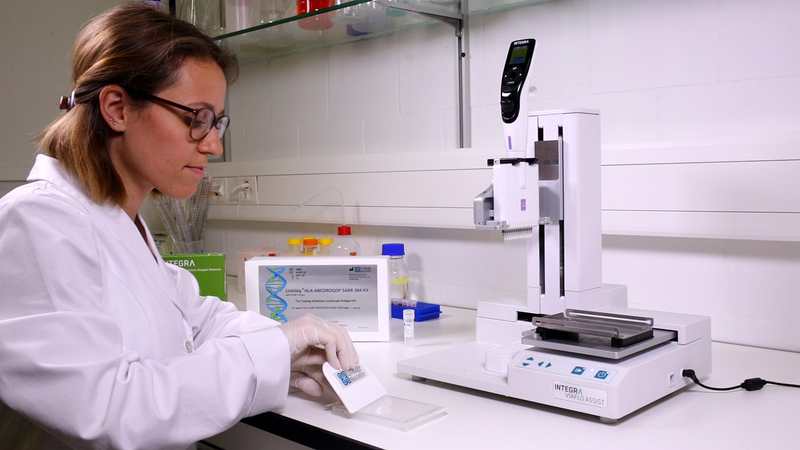 The VIAFLO ASSIST personal pipetting assistant from INTEGRA has been selected by Linkage Biosciences to help labs increase consistency when using their LinkSeq™ tissue typing products. All VIAFLO ASSIST pipettes supplied by Linkage Biosciences come pre-programmed with a LinkSeq pipetting protocol. Simply add LinkSeq sample mixture to the reservoir and allow the VIAFLO ASSIST to add reagent to the entire LinkSeq 384-well tray. The LinkSeq VIAFLO ASSIST kit comes with the necessary consumables to get started without delay.